Harvard University’s Undergraduate Council wants to keep race as a factor in admissions, but also wants “bias training” for admissions officers, according to a statement released Sunday. A majority of council members voted Sunday in favor of releasing a statement that supported Harvard on its use of affirmative action while eight opposed releasing the statement. The statement also called for increased transparency in the admissions process, a more holistic approach when assessing Asian-American applicants and bias training for admissions officers, The Harvard Crimson reported Monday. “We push the Admissions Office to increase transparency within current admissions procedures, hire more diverse admissions counselors, hold their staff accountable for any potential biases, include diversity training regarding the Asian American community, and increase data disaggregation for sub-racial groups in recognition that our community is not a monolith,” the statement said, according to The Crimson. The council has a total of 51 members, the Undergraduate Council told The Daily Caller News Foundation over Facebook. Harvard Dean of Admissions William Fitzsimmons is expected to be the first witness after opening statements on Monday. His testimony was preceded by protests in favor and against affirmative action. Students for Fair Admissions (SFFA), a nonprofit against affirmative action in higher education, filed the lawsuit against the school in 2014. The group claimed that Harvard held higher standards for Asian-American applicants over other races, though Harvard has denied the allegations. 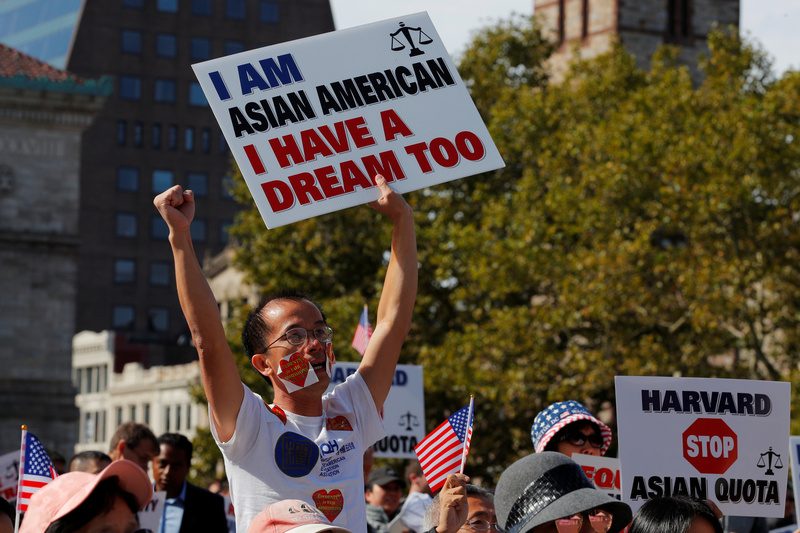 The Department of Justice filed a legal brief in favor of SFFA on Aug. 30, citing that there was substantial evidence of bias against Asian-American applicants in Harvard’s admissions. Vice President of the Council Nicholas Boucher did not immediately respond to TheDCNF’s request for comment.